The Avalon School of Astrology was established as a Florida Corporation in the year 2002, and in the same year 501(c)(3) non-profit status was granted by the federal government. A license to operate as a post-secondary vocational school was granted by the Commission for Independent Education by the state of Florida on the 12th of February 2003. 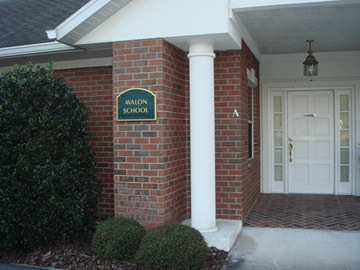 The school opens its doors and the first classes begin in August, 2003. The Avalon School of Astrology inspires the student to think critically, even skeptically, and analyze the evidence for the many different approaches to astrological analysis. At the same time, the student is also given clear and practical methods to apply the theory and to operate successfully as a professional astrological consultant and other professions in the field of astrology. We are determined to see that every customer is happy with any of our services. We will be happy to hear from you either by phone, letter by post or by e-mail. The best way to contact us is by e-mail. We do not use an answering machine or answering service. We answer calls within 2-3 rings during office hours. If you called and there was no answer, this means that we are closed or it is after our office hours. If we missed your call, please try calling us again during our office hours posted above this page. The administrative offices, library, and computer room are open from 9 AM to 4 PM daily, and during other hours when classes are in operation and there is a staff member or volunteer available to monitor the facilities.